During Microsoft’s E3 press briefing earlier this month, many eagle-eyed fans noticed a quick, unmentioned nod to Crackdown, one of the Xbox 360’s earliest hits. Since then, speculation has emerged as to whether the franchise might be due for a revival on the forthcoming Xbox One console. Phil Spencer, vice president of Microsoft Game Studios, was asked about the nod point-blank in an interview with IGN. Spencer also said he doesn’t think the Crackdown franchise is dead “at all,” noting that some of the Xbox One’s new technical features would be a perfect fit for the open-world action-adventure series. That’s certainly no confirmation that the series will be revived, but it’s still solace to Crackdown fans – Microsoft has not forgotten the franchise. The original Crackdown first released in February 2007 and was an early hit for the Xbox 360, thanks in part to the inclusion of a multiplayer beta for the then-incoming Halo 3. Despite that, the game was well-received critically as well, earning an 83 rating on Metacritic and a number of awards for its innovative gameplay. 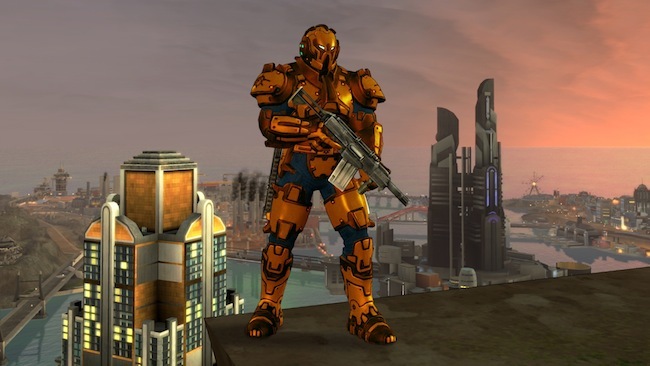 A sequel, Crackdown 2, was released in 2010, which failed to garner the same kind of critical or commercial success as its predecessor – many reviewers slammed it for being too similar to the original – sitting at an average 70 rating on Metacritic. What do you think, Crackdown fans? Are you excited by the possibility of the franchise returning for the next generation? Let us know in the comments.